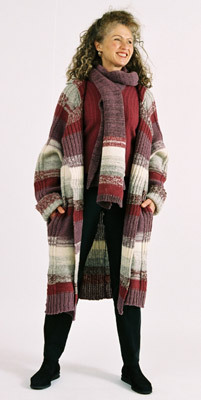 This long striped cardigan coat maintains my most classic of design styles. It has been given ribbing detail and subtly gradated stripes marrying soft natural greys with a rich palette of reds and maroons. Shown with matching scarf.